Cars travel trillions of miles every year, yet are idle during most hours of the day and occupy extensive real-estate. When used in urban environments, they are usually stuck in traffic. Companies such as Zipcars, Car2go, Uber, Lyft, Didi and other fleet management services offer shared mobility services that aim to solve the car usage problem. These services include “drivers for rent” (traditional taxis), “cars for rent”, and, in the near future, driverless shared mobility cars (”robo-taxis”). Fully autonomous vehicles have no drivers – only passengers. In sporadic pay-as-you drive services, there is no car owner and therefore no person in charge. In driver-torent services, the passengers are unknown. Therefore, it is important to ensure that all in-cabin occupants are secure, safe and vehicle protected from occupant behavior and external threats.  The increasing demand for “driver for rent” and “car for rent” models, together with analyst predictions regarding future large-scale use of autonomous robo-taxis, generate the need for in-cabin monitoring that will ensure in-cabin safety.  viisights' in-cabin monitoring system complements existing autonomous driving & monitoring systems. The in-cabin monitoring system utilizes viisights' ability to understand human behavior via live video streams that originate from an in-cabin camera(s). In many cases, the video stream will act as the main signal; yet the system will use additional sensors and data to increase its accuracy.